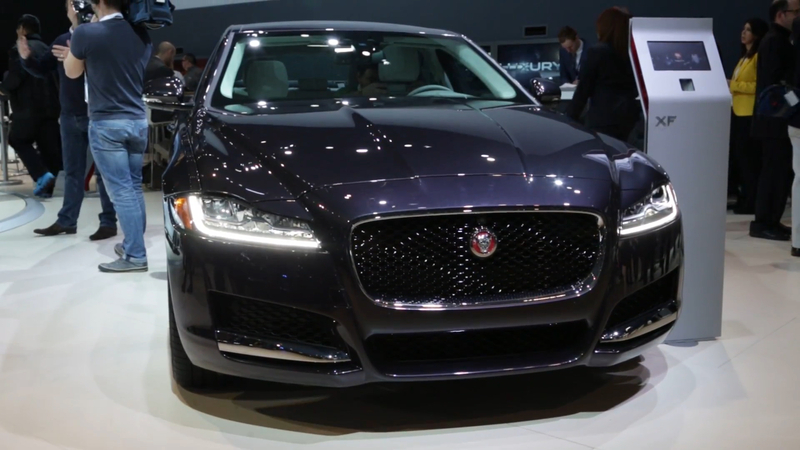 Until this moment, we'd only seen spy photos of the Jaguar XF Sportbrake. Now we get our first official look at the long-roof Jaguar with the above teaser photo. Pleasantly, this isn't an image of the car in shadows, but rather in full light. It happens to be a bird's-eye-view image, so there isn't much we can tell about the car aside from confirming it is indeed a wagon. That's not to say we can't tell anything, though. Close examination of the tail reveals that Jaguar has opted for more conventional, body-colored D-pillars. This is a contrast to the previous XF Sportbrake that featured piano black D-pillar panels that were reminiscent of the ones on the XJ flagship sedan. Another interesting detail is that glass roof. There don't appear to be any seams along it, indicating that this is one massive, fixed panel. Odds are an opening variant is available, but that version probably won't have the same unbroken view of the sky. We also get one other teaser of the XF Sportbrake via a video in which Ian Callum talks about lines with the head groundskeeper of Wimbledon. 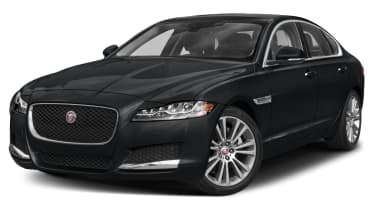 Apparently Jaguar is providing cars for this year's tennis tournament, so some kind of marketing tie-in was inevitable. The video is pretty much what you would expect, with Callum saying flowery things about different kinds of lines and the lines on Jaguars. But at the very end, a silhouette of the XF Sportbrake is shown on the Wimbledon center court. It doesn't show much, but it is something. You can check it out for yourself at the end of the video above. In addition to these teasers, Jaguar announced that the car will be available later this year. No regions were announced, but don't hold your breath for the US market. The previous version was never offered here, and now Jaguar has the American-friendly F-Pace crossover to satiate Jaguar buyers needing more cargo space. So we don't see much of a case for bringing it here. That being said, we would certainly be happy if it came to the States.